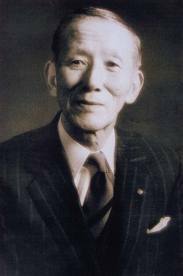 Shinichi Suzuki (1898-1998) was the founder of what has become a worldwide movement of early childhood education. The Suzuki system of music training is both a philosophy and a methodology. For a brief overview, please visit the Suzuki Association website. The Suzuki Philosophy begins with the premise that all children are born with an extremely powerful learning mechanism capable of acquiring all sorts of sophisticated skills, starting with the ability to speak and comprehend language. Suzuki rejected the notion that talent is somehow innate or genetically determined. Many educators disagree. Contrary to the generally accepted view, Suzuki believed that musical ability is available to all, not just the talented few. Suzuki named his school “Talent Education” to emphasize his conviction that what we call “musical talent” is actually a learnable skill. For him, talent was simply an ability developed to such a degree that it seems extraordinary. He argued that musical fluency is no more difficult to acquire than language. The key lies in the learning process. The Suzuki Method of teaching music is based on the way children learn to speak their mother tongue. For that reason, it is sometimes called “The Mother Tongue Method.” Suzuki was not the first to observe the correlation between music and language. But he was the first to develop a whole system of education based on the way children learn language. Suzuki’s great insight came the day he realized that children throughout the world learn to speak their native language with a near perfect success rate. How is it that children learn language so successfully? Was this not a learning process worth examining? Suzuki’s excitement over what he considered a great discovery was met with a giant yawn from everyone he shared his observation with. Some truths seem so obvious that it’s easy to take them for granted and miss their far-reaching implications. As Suzuki dug deeper, he noticed that whereas the process by which children acquire language is extremely effective, there are telling variations that show the nature and limitations of the process. A Romanian baby raised in Japan will learn to speak Japanese rather than Romanian. An American child growing up in Louisiana will speak English with a Southern accent. That same child, if raised by a poor family in the foothills of Appalachia, will learn faulty grammar. In other words, the mother tongue, regional accent, vocabulary and grammar are all products of the child’s environment. The newborn child comes into a world saturated with spoken language. Talk is everywhere: from parents, relatives, other children, TV, radio, conversations on the sidewalk, in the elevator, the lyrics of songs. That rich environment of aural stimulation lays the foundation of early language development. As recent studies have shown, the degree of stimulation is significant as well. Children whose parents read to them and talked to them throughout the day enter kindergarten with larger vocabularies and greater comprehension than children who were usually ignored and rarely encouraged to engage in conversation. In the same way, the Suzuki Method requires a nurturing musical environment in order for it to succeed. The most important responsibility of the Suzuki parent is to create and maintain such an environment. To achieve this, the parent needs to play as frequently as possible the CD of the pieces the child will be learning to play on the piano. Playing the CD is the primary task of the Suzuki parent. As a supplement, playing other recordings, singing, reciting nursery rhymes and poems are all good. The more pervasive the musical environment, the more successful will be the results.